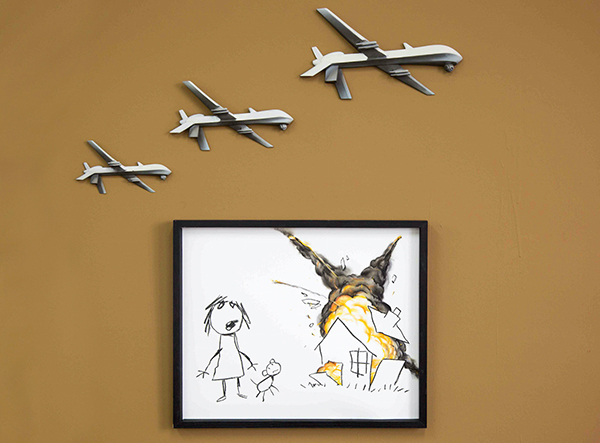 Street art royal Banksy has just revealed his latest work 'Civilian Drone Strike', which is part of the exhibition 'Art the Arms Fair', a group show set up to oppose the current Defence and Security Equipment International (DSEI) fair at ExCeL, London. 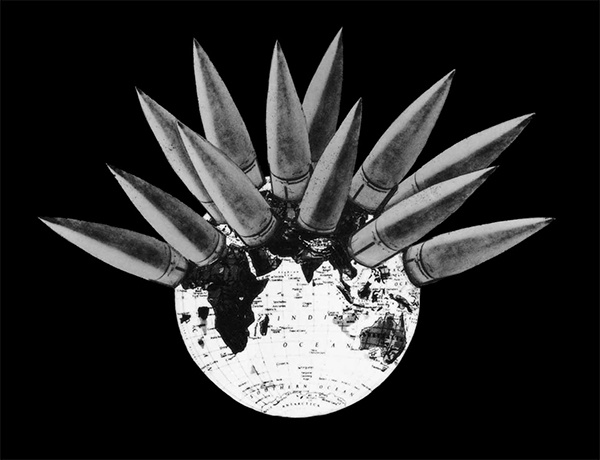 The arms fair will be attended by over 1600 arms companies. The official guest list includes delegations from countries with appalling human rights records: such as Saudi Arabia, Qatar, Pakistan, Philippines, Bahrain, and Algeria. The fair, which is the world’s largest of its kind, has been the subject of protests and much negative media coverage. 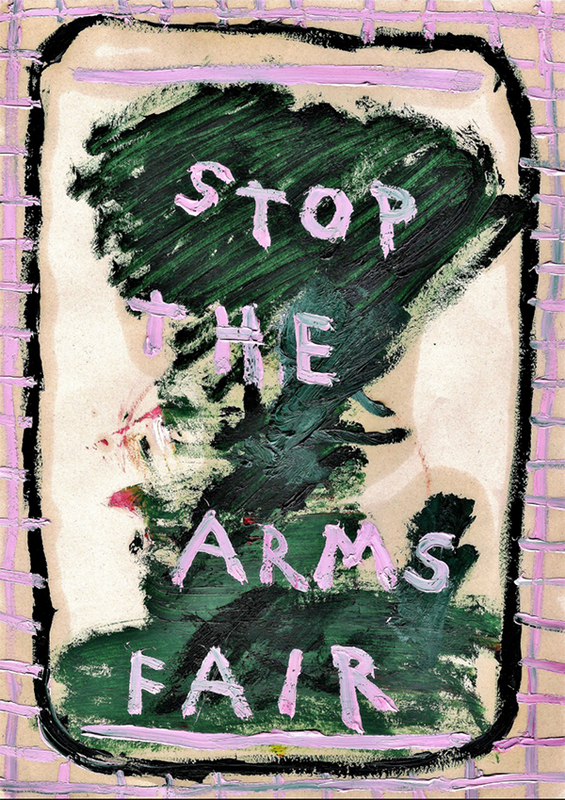 "Banksy is apparently offering a critique of the military industrial complex by deliberately destroying a rather nice child's drawing" said Sam Walton, an organiser of Art the Arms Fair. Civilian Drone Strike will be auctioned at 6 pm on Friday 15 September in support of Campaign Against Arms Trade and Reprieve. It is hung amongst work by 300 other artists including Peter Kennard, Guerrilla Girls and up and coming painter Daisy Parris. 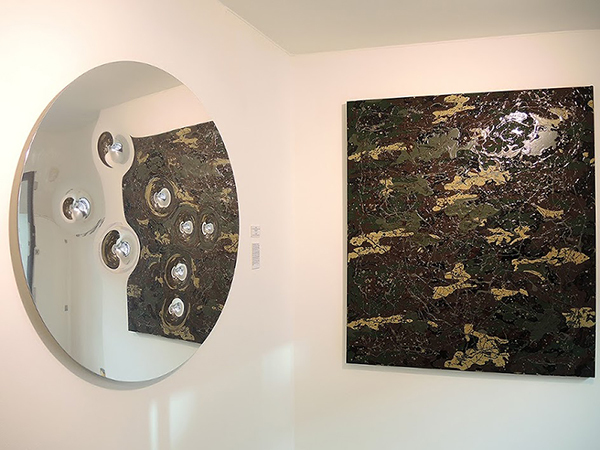 Meanwhile across London in Soho, our current exhibition M*A*S*H*E*D by War Boutique also explores ideas of war and conflict with a diverse body of work that incorporates painting, print and sculpture. 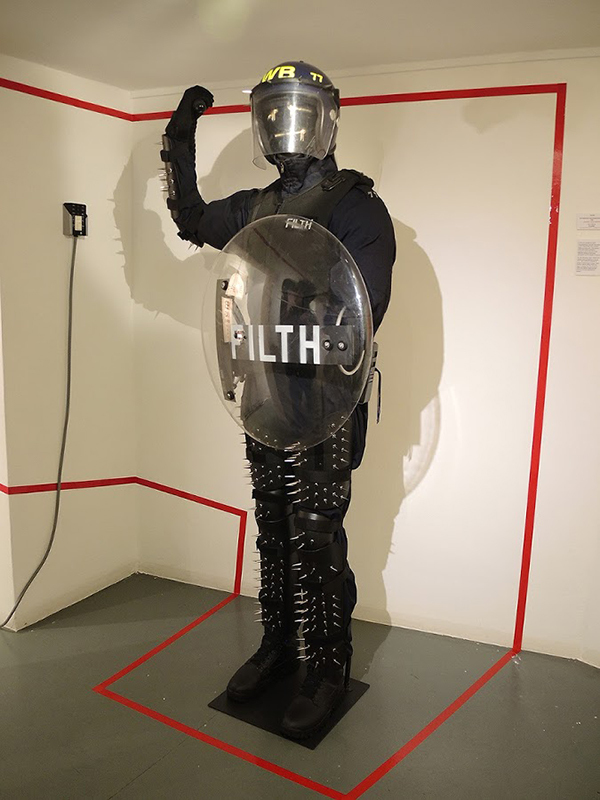 Using original military armour, weaponry and bullet-proof textiles, War Boutique’s work conveys strong anti-war messages, exposing the interface between the civil and military spheres, and playing on the parallels between the uniforms of war and mainstream fashion trends. Follow this link to view all available War Boutique artwork. For sales enquiries please contact the gallery on +44 (0) 20 7240 7909 or email us at info@lawrencealkingallery.com.